No Tax Breaks for Outsourcing Jobs - Can It Really Help? 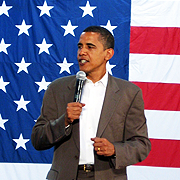 The President of the United States, Barack Obama, asserted some time back that shipping jobs to offshore countries should be denied the advantage of tax breaks. Obama, in his tirade against outsourcing said that no tax breaks for outsourcing to India should be given; instead benefits should be given to firms that create jobs for Americans. Obama feels that a decision such as "no tax breaks for shipping jobs overseas" is needed to bring jobs back to US and also make the manufacturing business more competitive. He strongly spoke against the concept of outsourcing some time back, saying that a company should not be getting tax advantages for outsourcing jobs, instead such big tax breaks should only be given to manufacturers who create "future jobs" for Americans. "No tax breaks Obama" ceases to be a hot topic of debate ever since the President spoke about it. It was widely believed to have a negative impact on Indian companies providing outsourcing solutions. The IT sector in India, which currently gets over 60% of its export revenue from the United States, feared losing its revenue with the "US no tax breaks" rule. However, much to the relief of outsourcing companies in India and elsewhere, this fear is not as alarming as it was conceived. Can Outsourcing Really Be Stopped? Outsourcing experts believe that the United States has itself played a major role in making the world economy an inter-connected web. US based companies have already lost the game of efficiency in automobiles and manufacturing to their Japanese and Chinese counterparts. India too is much ahead of the US in several services, be it Information Technology or Pharmaceuticals. US firms are no longer US only firms, but have turned into global firms now. Can the benefits of tax breaks really outweigh the advantages of outsourcing? Will US firms really stop outsourcing to gain a small tax benefit? Can the no tax breaks for outsourcing jobs decision last long? India, Peru, Philippines, China and many other countries are waiting to find answers to these questions. However, all agree unanimously that outsourcing advantages outweigh down the tax breaks by such a good margin that no company would like to reconsider their outsourcing decision. The no tax breaks outsourcing companies deal won't just have India gasping for breath, but will also have a significant impact on several American companies that are used to offshoring their non-core works for years. For Example, the 2012 no tax breaks for outsourcing plan can deeply affect General Motors. GM will be unable to keep a global edge without outsourcing, as the company is currently doing advanced design for its next-gen automobiles from its base in Bangalore (India). This is not the only example, there are so many companies that have invested in outsourcing and can't pull-out at the last moment. Moreover, outsourcing offers numerous advantages like mentioned below that even the companies who have not yet experienced outsourcing want to try. Over the years, India has always been a favourite outsourcing destination for American companies. In fact, India is the sole provider of management and technical talent for over 40% of start-ups in US. More than 82% of American based software companies choose India when it comes to outsourcing, says NASSSOM. India's large talent pool of tech-savvy professionals, lower cost of operation, ISO work standards, high quality work, unique time zone difference, stable government, and reliable Internet connectivity have made it a favourite offshoring destination. All this changing with the no tax break rule, looks unlikely. Outsource2india is one of India's most reliable outsourcing service providers, with over 15 years of experience and thousands of satisfied customers. Outsource2india has proved its mettle in providing cutting-edge outsourcing solutions, be it customer support, data entry, web design, or photo editing, almost any back-end service can easily be outsourced to us. Our premium quality standards, efficient work flows, quick turnaround time and affordable pricing have set us apart from our competitors. Outsource today and experience the benefits that only Outsource2india can offer. Tips on how to get started, and what to ask before taking the plunge. 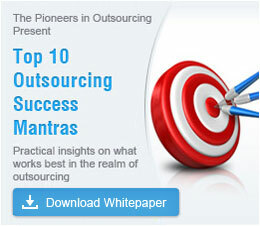 A series of articles on the history, benefits and other factors involved in outsourcing. Getting work done in-house or externally – what is best for your organization? Important answers to get from your prospective outsourcing partner before signing on the dotted line.